Liz's Paper Loft: MCT August Sneak Peek Day 2 ~ Love! Today we are featuring Family is Everything stamp and die set! I've been lovin' the one layer card style lately, so here is another one for you :) They are super simple to create, yet aren't super simple with their impact! beautiful!! love the sentiment you made! Fabulous card Liz! 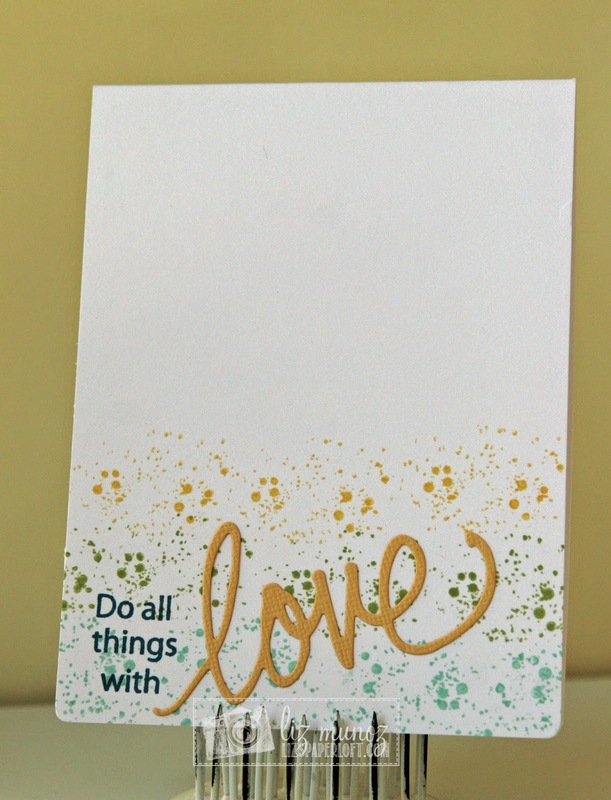 The color spatter is perfect and you are right this card is simple but with big impact. Simple and beautiful. Really like how you kept it all towards the bottom of the card. Nice. 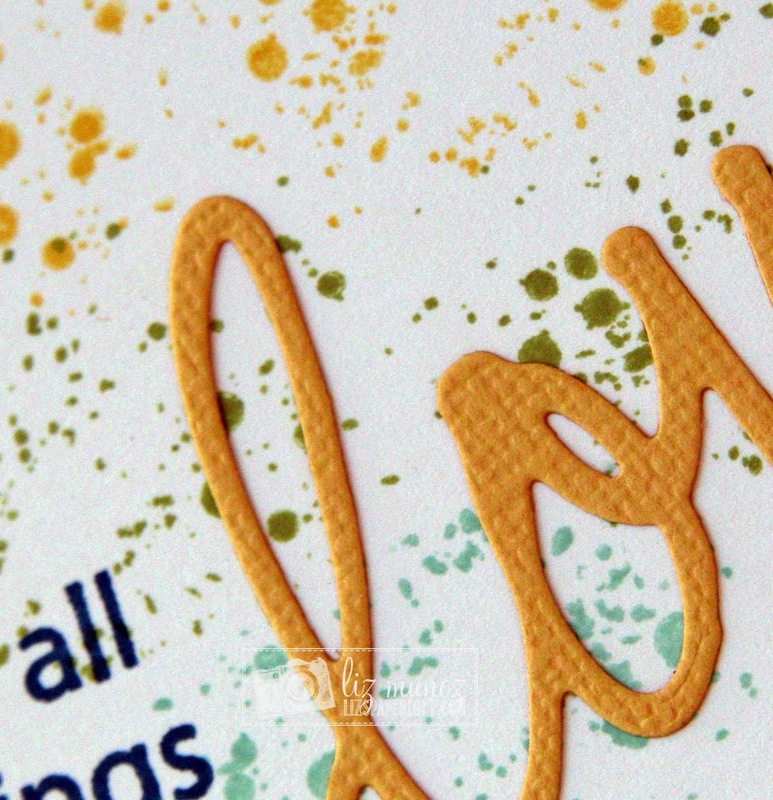 Those fabulous paint spatter stamps give real impact to your one layer card. I'm definitely going to be needing this set added to my stash. Love how you did it so simple but yet very its very beautiful. Awesome! I am loving this card Liz. The one layer look is awesome. I have a ton of thank you cards to make, i may try this-a lot less cutting and taping. Super simple but awesome ! Beautiful card, great colors and I love that die. A simple card with a large impact. That sentiment is a good one to remember for everyday life. Awesome card! I love how you lined the paint splatters. Very pretty--I like the background colors. You are right! I can't wait to get what has been peeked so far in my hands. Beautiful job on your pretty card. 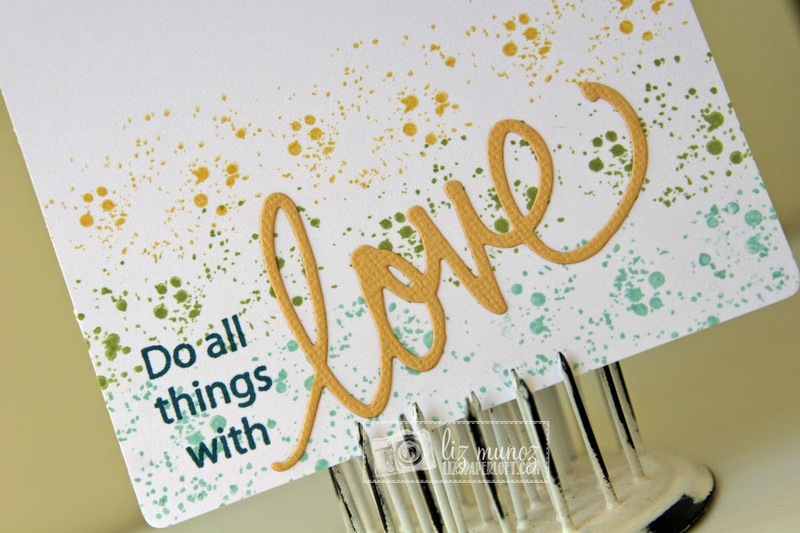 Your card is so beautiful I love how you used the splatter stamp great choice for colors and you definitely will be making someone feel so extra special when they receive your card! So can't wait to get these new goodies. Like the combination of colors with the ink splatter. Great CAS card. Wow, pretty card! I am lovin' the splattered background! Can't wait to see the whole release! Love this Liz! I am 'loving' this die and stamp set! I love this! I love how you arranged the paint splats! Hugs! LOVE your terrific card. Great colors. Thanks for sharing. Oooooo..love the splatter! Looks so cool!